My Coda eats her food so fast. Mi hija told me about a product sold at the store she works at in Chicago. Pet parents told her it helped their pets slow down while eating. I've used this bowl during my dog Coda's last four feeding times. She hates it and sighs every time I put it in front of her. She also looks over at her old bowl longingly. 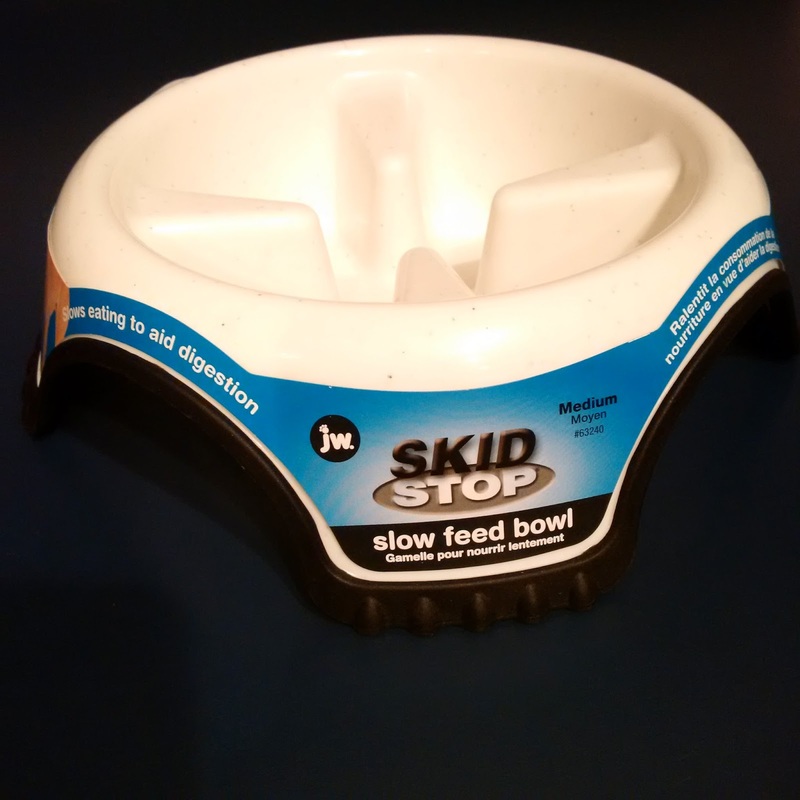 The Skid Stop Slow Feed bowl is a great product at a fantastic price. Your pet may dislike it, but it will help many of them stay healthy and avoid stomach bloat. I ordered this bowl on Amazon.